Inundated with managing the ebb and flow of transient boaters, marinas often find themselves accepting the end-of-year revenue total as just “good enough." Many marinas don't set seasonal or annual goals to reach and work toward fundamentally growing their business year over year.Have you ever figured out the math on just how many boats could enter your marina in a season and enjoy the unique experience your marina offers? 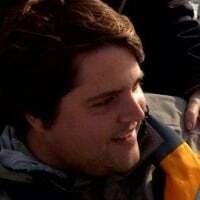 We've been wondering the same thing on behalf of our marina partners lately, so we built a tool to help figure it out. Dockwa’s Marina Occupancy Calculator takes all the guesswork out of discovering and achieving your marina’s potential. You can use it to figure out your dockage revenue potential, and find out how you're doing as a marina. Think about it: your marina's dockage is a limited resource in that you only have so many slips and moorings. Your dockage revenues are limited, so you want to do everything you can to make sure that your occupancy rates are as high as possible. 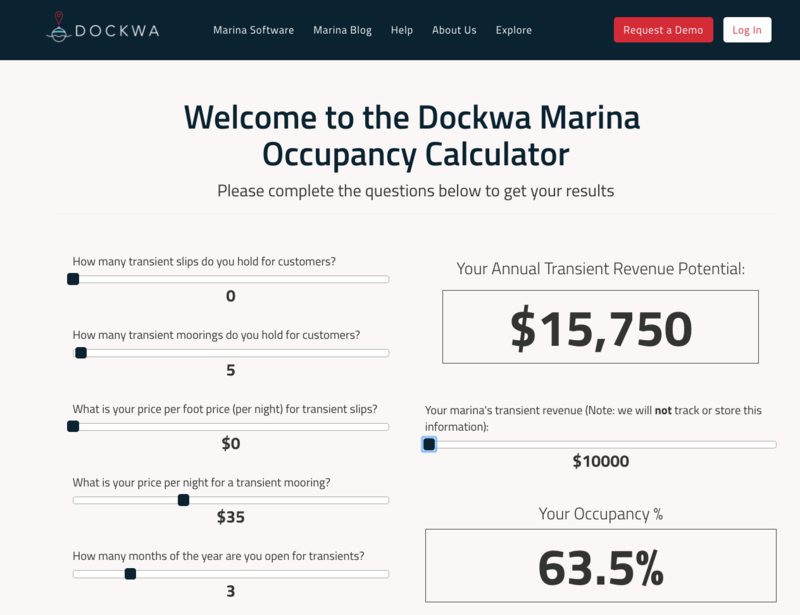 The Dockwa Marina Occupancy Calculator allows each marina to calculate their maximum potential revenue per year based on a few basic variables. Simply enter the amount of dockage and/or moorings at your marina, the price per dock/mooring, the number of months your marina is open, and your marina’s total transient revenue. The calculator takes in this basic information and produces a number representing the total occupancy your marina currently utilizes as a percentage of the maximum total revenue if the marina were to be full every night your season. 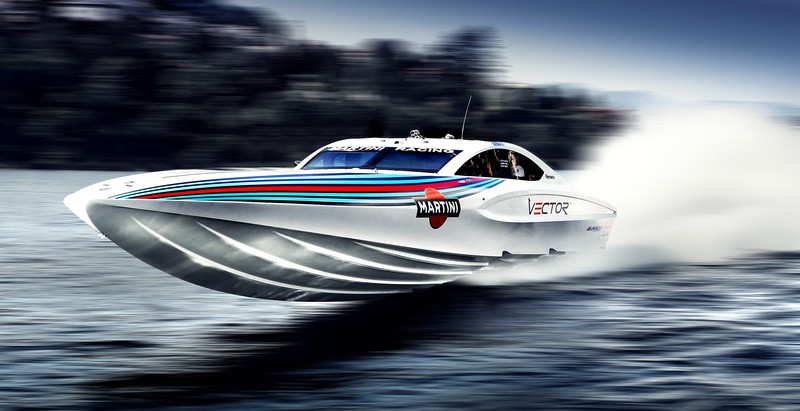 The beginning number itself is important as it indicates exactly how much room for improvement there is at your marina. However, working to increase that number year-over-year is the most essential part, and ultimately, results in the difference between barely staying afloat and sailing off into the moneymaking sunset. Calculating your marina’s current occupancy in comparison to your maximum potential is the first leg in your journey to growing your business. Whether you are starting off with 15% occupancy or 95%, each marina has room for improvement. Once you understand where the marina is relative to its potential, you can utilize Dockwa’s other features, such as promotion emails and the day-by-day reservation calendar, to increase that percentage year after year.